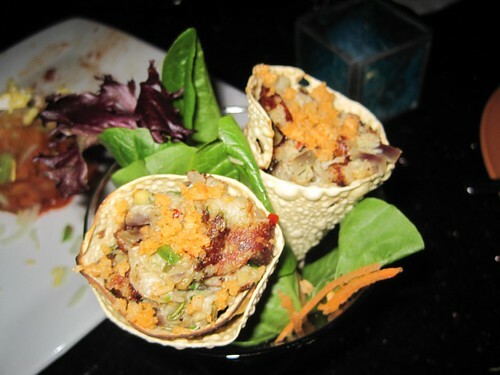 This visit the new item on the menu caught my attention " Maryland Crab Papad Roll" - very tasty and well presented. Other appetizers we enjoyed - Samosa chat and Belpuri. I love the Dal makhani and that comes with every entree as a accompaniment. We also ordered Malai kabab ( Chicken cooked in the tandoori oven with cream and spices) which would be a good try if you are new to Indian food and the Vegetable Biriyani. I love the Tamarind Mojito's. If you have been here tell us about your experience.